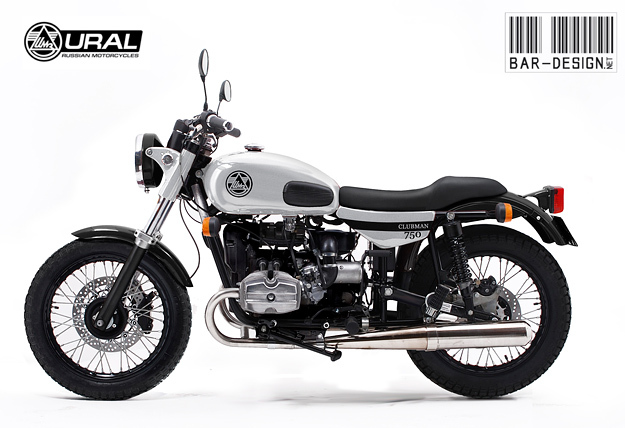 EXCLUSIVE The Ural is one of the great bargains of modern motorcycling: a tough, capable machine that can handle both city streets and dirt tracks. In the USA, you can ride a ‘Solo’ out of the showroom for just $6,999, and know that it’ll still be running 20 years down the track. Despite the price, the 750cc sT has 41mm Marzocchi forks and Brembo brakes. 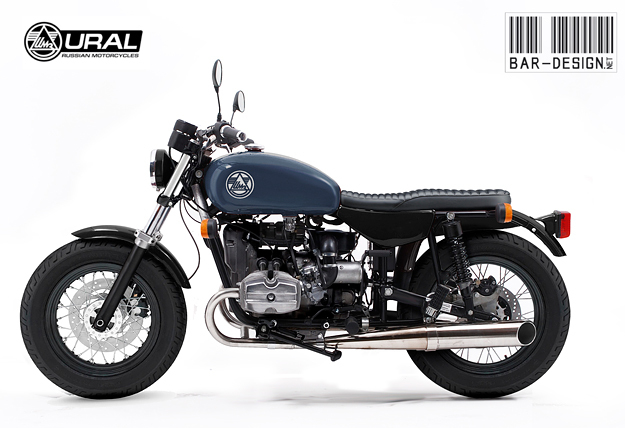 It also has a pleasingly no-nonsense look, as befits a design developed from the iconic BMW R71—complete with retro ‘tractor’ seat. But motorcycle designer Luca Bar has shown how easy it is to customize this machine. He’s created two concepts exclusively for Bike EXIF: a flat-seated ‘bobber’ (the blue and red bikes shown here) and a ‘clubman’ (in olive green and white). The changes are minimal, but the look of the sT has been completely transformed. It’s amazing the difference a shorter front fender, repositioned indicators and new headlights can make. The rubber pads on the tank have also gone, replaced by bold logos. And a bobbed rear fender and new seats have given the bikes a visual flavor closer to downtown Tokyo than mountainous central Russia. None of these mods would compromise the bulletproof toughness of the Ural sT, and they’re not particularly expensive either: the total bill would probably match the sticker price of a showroom-stock Triumph Bonneville.